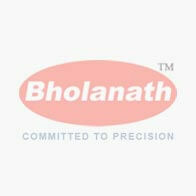 Established in the year 1972 in Mumbai, India, Bholanath Precision Engineering Pvt. Ltd. is one of the leaders in the field of manufacturing Hi- tech 1.8 degree Hybrid Stepper Motor. Our Factory area (16700 sqm) is near Mumbai, India, 55 km from Mumbai Airport. The company is owned by a group of technocrats committed to precision and repeated accuracy. Strong experience has been developed over the years and this along with a rich enthusiasm allows the Bholanath team to put forth Excellent Products. Bholanath Precision Engineering Pvt Ltd's general policy does not recommend the use of its products in unapproved and improper applications wherein a failure or malfunction of the product may directly endanger life or cause injury. The user of Bholanath Precision Engineering's products, assumes all risks and liabilities, arising from the use of Bholanath Precision Engineering's products and indemnifies Bholanath Precision Engineering against all damages. "For details on disclaimers and waivers visit steppermotors.bholanath.in/waiver-of-liability"
Bholanath Precision Engineering Pvt. Ltd.
11, Kembros Industrial Estate. Near Asian Paint Company, Sonapur Lane, Bhandup(West), Mumbai-400078, India. © 2019 by Bholanath Stepper Motors, Step-Servo Motors and Drives, All Rights Reserved.